Editor's note: This article is continually updated, as new information comes in, and is presented with the latest info at the top. Please, if you want to read more general or earlier news, or if you don't see the info you need, scroll down. 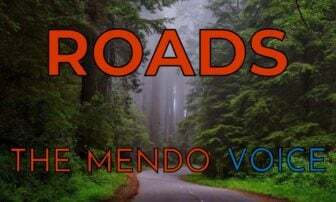 A new, and false, rumor has been spreading around Northern California concerning the Mendocino Complex fires. Here is our reporting on that. According to the CalFire evening update the Ranch Fire has grown another couple thousand acres to 115,250 acres and remains at 28% containment. The River Fire is at 42,200 acres with 50% containment. Substantial progress has been made in parts of both fires, and some areas have begun to be repopulated, and Hwy. 175 is now open. However, the northern flank of the River Fire has forced new evacuations and advisories in the area around Cow Mountain, to the north of the fire. The Ranch Fire has forced new evacuations and warnings in communities on the northeastern shore of Clear Lake. Both Ranch and River fires remained active today with hot weather and wind driven flame fronts. Continued high temperatures and low humidity along with limited access make it difficult to access the fire directly. The Ranch fire continued to burn toward the north towards Lake Pillsbury and East towards the Pawnee Fire scar. 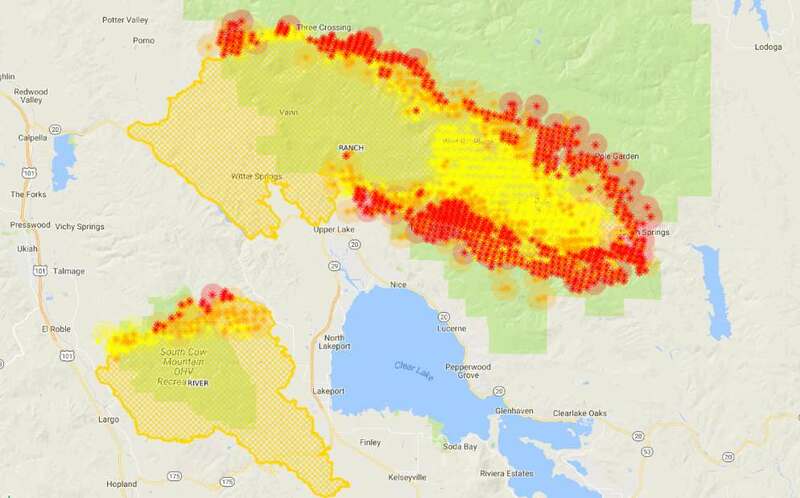 The River fire continued to move north and east towards Cow Mountain and Scotts Valley Road. Tonight fire crews will look for opportunities to make progress on containment. Highland Springs area south of Hwy. 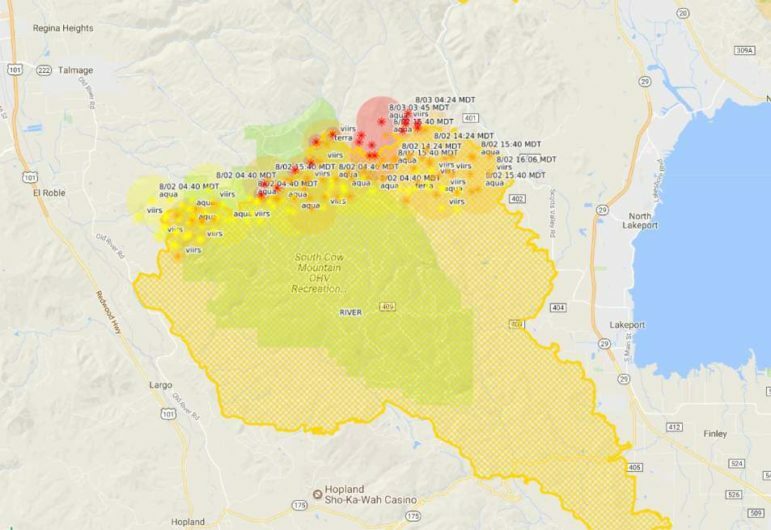 29 and Hwy 175, west of Highland Springs Rd., north and east of the Lake/Mendocino County line, and east of the River Fire perimeter. This includes Highland Springs Rd., Rodello Rd, Ackley Rd., Matthew Rd, and George Rd. Hwy.175 to Hopland is now open. Lakeport area south of Hallberg Rd, west of Hwy. 29, north of Hwy. 175, and east of the River Fire perimeter. This includes Todd Rd., Parallel Drive, Sandy Ln., Riggs Rd., Scotts Creek Rd., and areas west of Hwy. 29 to 11th Street. Debris and ash from residential and other structural fires may contain toxic substances due to the presence of synthetic and hazardous materials. Many building materials contain asbestos, and older buildings often contain lead. Household hazardous waste such as gasoline, cleaning products, pesticides, and other chemicals may have been stored in homes, garages, or sheds that may have burned in the fire. These materials can become concentrated in ash and soil following a fire. It is important not to expose yourself, your family or others to any of these materials. Exposures can occur by sifting through and/or moving ash and debris, causing ash to become airborne and inhaled or ingested. The Unified Commanders, Cal Fire and U.S. Forest Service, are hosting a community meeting to discuss the current situation of the Mendocino Complex. Officials will give an operational overview, highlighting the current actions firefighters are taking on the fires. Current maps of the fire will be available, as well as other handouts. Additionally, officials will be available to answer question. When: August 3, 2018 at 6:00 P.M. The Mountain Vista Middle School is now open as an evacuation shelter for evacuees. The school is located at 5081 Konocti Rd. in Kelseyville. SR 175 between Hopland and Lakeport has been reopened after being closed Sunday by the River Fire. Motorists should drive with extra caution due to fire crews still working in the area. Also, if you are not familiar with this highway it is very windy with a restriction that no vehicles over 39 feet in total length are allowed. Special thanks to our tree crew who completed removing all fire damaged hazard trees yesterday. The photos below were taken this week along SR 175. MCSO has issued an EVACUATION WARNING for the area of Areas: South of Highway 20, East of Lake Mendocino, Russian River, North of Yokayo Rancheria Rd and West of the intersection of Cow Mountain Access Rd and North Cow Mountain Rd. To include: McClure Creek Subdivision, City of Ten Thousand Buddhas, Sanford Ranch Rd, Knob Hill area, Regina Heights, Vichy Hills, Vichy Springs Resort, Guideville Reservation, Sulpher Creek, Deerwood Subdivision, El Dorado Subdivision, Howard Creek, Rafello Dr, Vista Del Largo, Kings Ranch Rd, Elledge Ranch Rd due to fire. Residents are advised to be ready to evacuate the area immediately. If residents feel unsafe, move to a safe location. Further alerts and follow-up notifications will be issued once information becomes available. Please avoid the EVACUATION WARNING area if possible and be aware of emergency workers. CalFire has released their midday video fire update, which includes some very mixed news. Conditions are changing rapidly and the following information is based on the events of last night through midday today. Enough progress has been made on south end of the River Fire, and everything south of Scott's Valley is going to be repopulated soon, though official word on that will come from the LCSD, and the 175 may be opened soon. There have been problems on the north end, with the fire slopping over dozer lines. Structure defense along Scotts Valley Rd. occupied firefighters for much of yesterday and last night. New evacuations have been declared for the area of Cow Mountain and north to Hwy. 20 (for more details on the see below). Along the southern end of the Ranch Fire substantial progress has been made, with strong containment lines and back fires, though PG&E remains on the scene rebuilding power-lines. There had been some talk of re-opening Hwy. 20 soon, though the River Fire has now forced a re-evacuation of the Blue Lakes area. On the north end of the Ranch Fire near Mid Mountain Rd. CalFire set backfires over night and is confident of that line holding. However, not long ago a new evacuation warning was sent out for areas to the north of the line. Yesterday, to the east the fire made a nine mile run east, just shy of where the Pawnee Fire burned a month ago, and as of this morning had likely connected with the old burn from the Pawnee Fire. To the south of that run CalFire hit ridges with large retardant drops from the VLATs, trying to secure communities along the lake shore, to the south. The entire northeastern shore of Clear Lake is evacuated. MCSO has issued a MANDATORY EVACUATION ORDER for the entire Cow Mountain Recreation Area Mendocino County, East Mill Creek Rd at North Cow Mountain and Cow Mountain Access Rd, East to Mendocino Lake County Line and North to Highway 20 due to fire in the area. Community of Potter Valley area: East of eastside Potter Valley Road and Eel River Road, south of the Eel River, west of Mendocino Lake County line and north of Mid Mountain Road. SAFETY MESSAGE – The public is reminded to stay vigilant on current fire conditions. Please continue to adhere to road closures and any evacuation warnings. 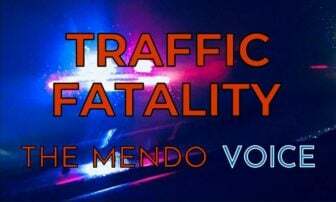 A reminder to drive slowly and yield to emergency personnel in the area. There will be smoke in the respective areas as firefighters continue firefighting operations. If at any time you feel unsafe, please call 911. We will update with a map as soon as it becomes avaliable. MENDOCINO Co., 8/3/18 -- We're now in day eight of the Mendocino Complex Fires, and both fires continue to rage and force new evacuations. The Ranch Fire exploded east through the National Forest, growing 28,336 acres overnight to 112,226 acres, and due to this explosive growth, the fire's containment is now listed at a smaller 28%. The River Fire now stands at 41,512 acres with 50% containment. That's a total of 153,738 acres, or 240 square miles. For some perspective that's 5 times the area of San Francisco or Santa Rosa. It's also about 4 times larger than last year's Redwood Fire. The official county of residences destroy in the fire also jumped to 41, with another 47 other buildings destroyed. In a cruel twist the Blue Lakes area, which had been evacuated due to the Ranch Fire, is now being menaced by the River Fire as it moves north. This is a Mandatory Evacuation Notice for the Blue Lakes area. The area is at risk from the River Fire. Residents should leave the area immediately to the North & West. 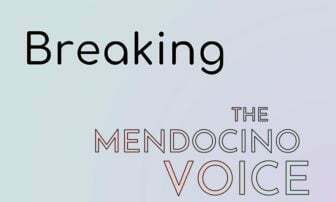 A shelter has been established at Mendocino College, and additional shelters will be established as necessary. This is a Mandatory Evacuation Notification for the Lucerne, Glenhaven & Clearlake Oaks areas. Residents are advised to leave immediately, traveling South. A staging area has been established at the Twin Pines Casino, where you will given further directions. and Clearlake Oaks areas of Lake County: All areas north of Clear Lake, south and east of Bartlett Springs Road at Hwy 20, west of Bartlett Springs Road at the Indian Valley Reservoir, south to New Long Valley Road and Hwy 20 at Hwy 53. This includes High Valley Road, 5 Star Fish Farm, Round Mountain Road, New Long Valley Road, Old Long Valley Road, and Spring Valley Road. For those evacuating from the fires, please be aware that the Twin Pine Casino Shelter has reached capacity. The LCSD is requesting that evacuaees instead go to Middletown or Lower Lake High School. They elaborated that, "Those with medical needs are asked to shelter at Lower Lake High School." overview briefing, highlighting the current actions firefighters are taking on the fires. officials will be available to answer questions. NOTES: Please arrive early, as the meeting will start promptly at 6 p.m. If you have questions about the meeting, please call the Mendocino Complex Fire Information Line (707) 574- 8261. 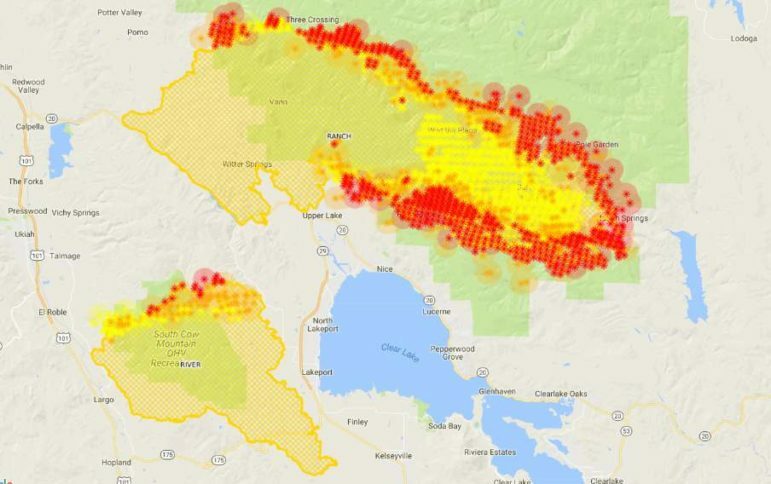 Here's a map of the fires based on satellite data. These maps are pretty accurate, but depend on different satellites to make passes over the fires. The satellite data in these maps comes from at least two separate satellite systems, one with high resolution, and the other with more frequent passes. 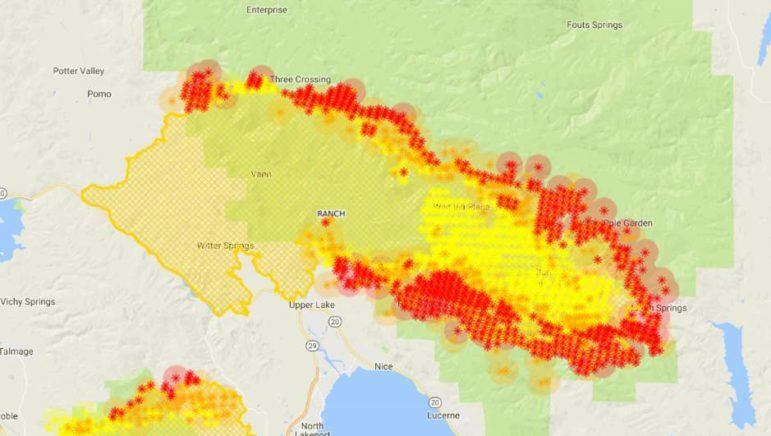 Many websites and news outlets are using this satellite data and calling it a "live" fire map -- which ever map you're looking at it is not truly "live." Maps are updated fairly frequently by the satellites, but they are not actually being updated in true real time. We like this map source because they do a good job of time stamping the data, and indicating which satellite it came from. Here are some maps of where things stood as of around 1:00 p.m. on the map page -- they may not perfectly reflect where this currently are on the ground, and may be a few hours behind. Aug. 3, 1 p.m. fire map, Mendocino Complex. A map of the River Fire as of Aug. 3, 1p.m. A map of the Ranch Fire as of Aug. 3, 1p.m. *Correction: An earlier version of this article accidentally referred to Clearlake, when we should have said "Clearlake Oaks." thanks, we fixed it, typing too fast, but we absolutely want to get accurate info out. thanks again.